Thank you everyone for your lovely comments about my chair. You've all helped me feel a lot less guilty about my little bit of luxury. I'm enjoying it right as we speak in fact! I'm feeling pretty good today though. This week I've managed to finish off a teeny tiny project that, for all it's teeny-ness and it's tiny-ness had taken me quite a long while to do and given me a great deal of satisfaction. I'm really starting to love sewing and my sewing machine these days. It's been a very slow burn, this new love of mine. I've sewed since I was a teenager, in fits and starts. Well, I say 'sewed', it was more 'cobbled together' in the early stages, but gradually I've improved. I'm completely self-taught, which basically means, I don't know what I'm doing but I make it up as I go along. Which has no doubt meant that I rarely do things in the easiest or best way, but I'm learning a little at a time. This last couple of years though, my love has been growing deeper and stronger. 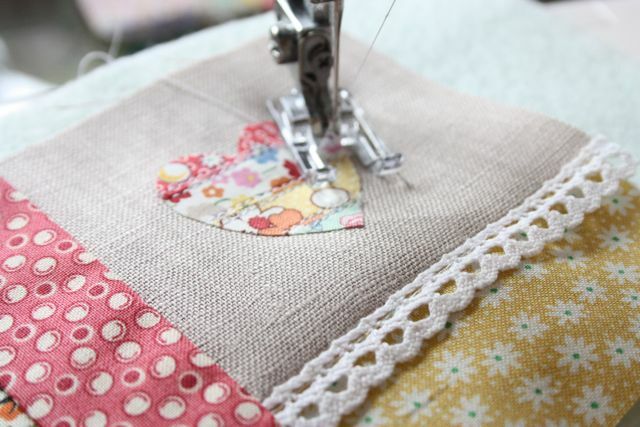 A nice new sewing machine a couple of Christmases ago really tipped the balance for me and completing my first quilt last year was one of the most satisfying things I've done. I think because I never really believed I'd ever achieve it. Now I have a bit of sewing confidence under my belt, I'm really enjoying exploring the possibilities. 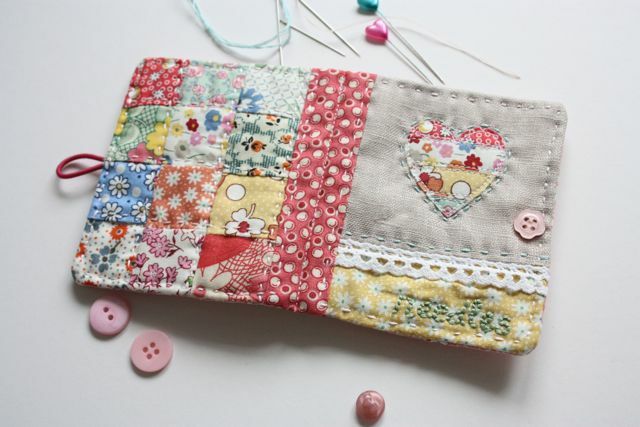 Beautiful hand made things that seemed out of reach before, now seem a bit closer and a little bit more attainable, especially with the glorious internet and wonderful, generous crafty bloggers and their clever tutorials! 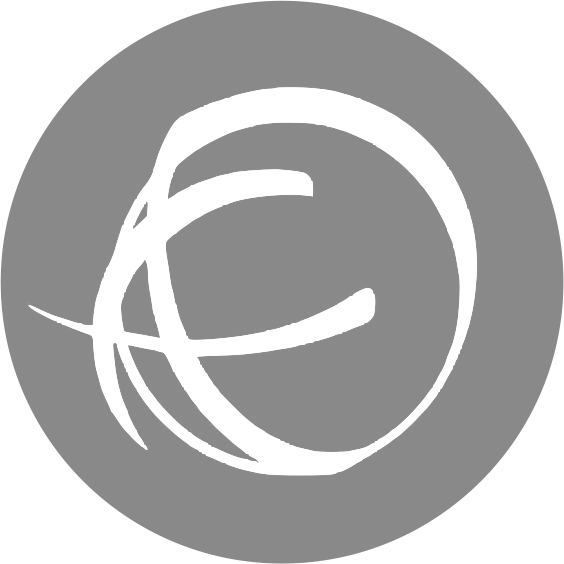 Which essentially, is a long winded way of saying 'look what I've made, from a really great internet tutorial'. 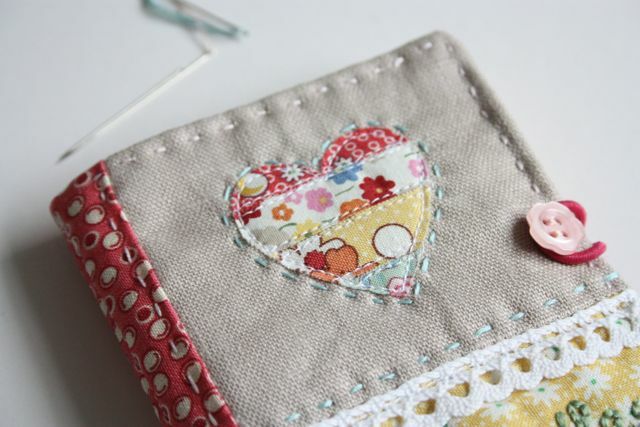 The really great tutorial is from my sewing heroine, guru and daily inspiration, Amy of Nana Company. I've waxed lyrical about her before, so it'll be of no surprise to most of you! 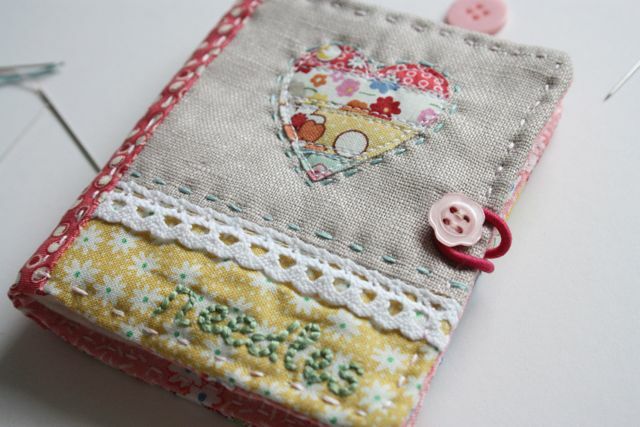 The tutorial is for one of her darling little Needlebooks, and here's my version. I do adore how it turned out. Finding all the itty bits of fabric and embellishments was great fun. 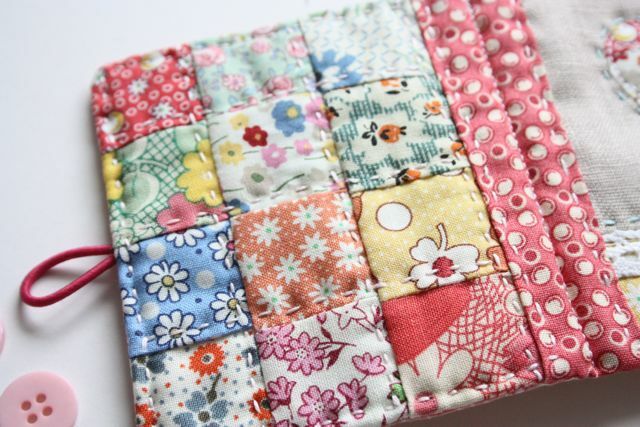 One of the things I really love about Amy's work is the way she find great uses for even the smallest pieces of fabric. 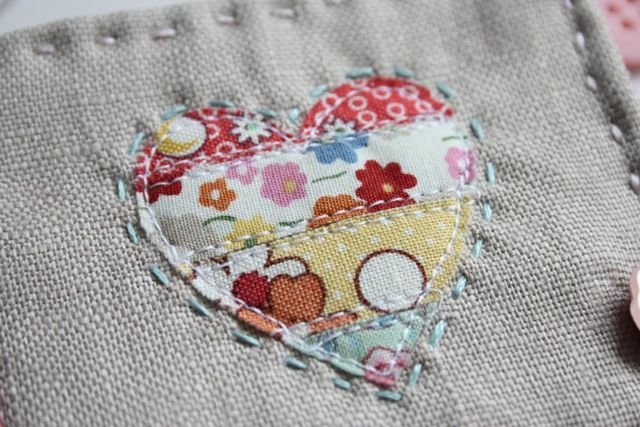 So using her scrappy easter bunting idea I made a little heart with some of my offcuts. 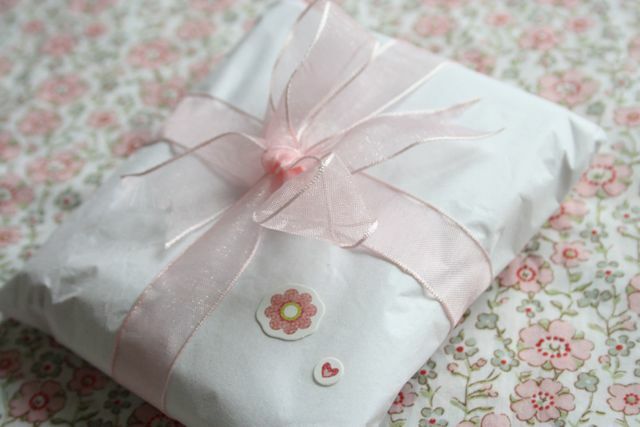 I've loved this fabric creation very much, the making, the completing and even the wrapping of it. On Sunday (the 'Mothering' one) it's off to a new home and I've not been so excited about giving a present for quite some while. There's something very special about giving and receiving a homemade gift isn't there? Now, I only have to hope that my Mum loves it as much as I do. Beautiful! I love the little patchy heart. You've inspired me, i've had the link bookmarked for a while, but I'm going to make one!! OMGoodness that is gorgeous - im sure she will love it! Oh they will love it. So magical. Such a lovely case. Perhaps I can make something similar for my Dairy.To make appointments in style. 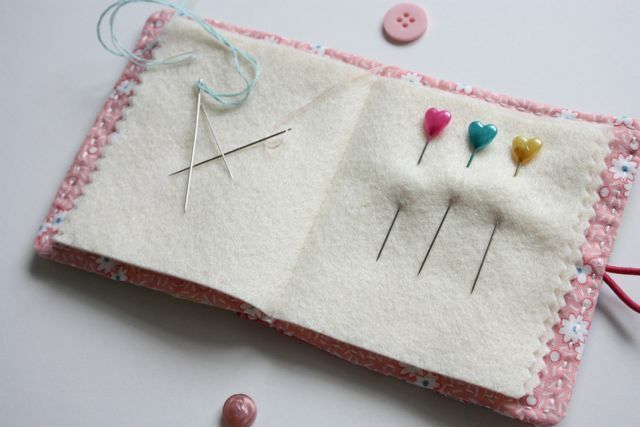 The needle case is beautiful, your sewing is gorgeous. Your Mum will Love it! Teeny Tiny = Delightful! This is so pretty! I've been inspired by Amy's needle books too, and made one a few months ago. I like your scrappy little heart. So pretty - I love it! Oh my goodness, that is so adorable! I imagine your mom is going to love it! This is the cutest homemade sewing creation I have ever seen! The fabrics, the colors, the lace, the heart, the button, the embroidery! What a work that must have been, all those teeny tiny pieces of fabric! But my presents are usually crocheted. Seriously I am addicted to your blog. I absolutely love this needlebook. It's so beautiful. And checked out nana company which I am now a fan of but I love your needlebook more. I hope it's ok to say this as I wouldn't want to offend anyone but I just love your ideas and how your mind works. I really want to make one of these. And any tips on where you get your fabric as Sarah above as asked would be really great! Oh my, that really is lovely. 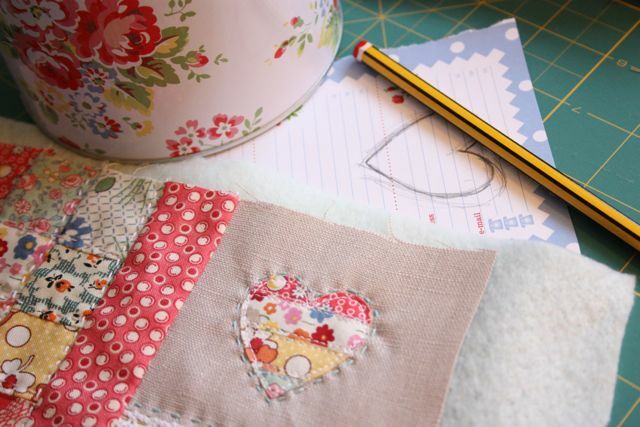 I don't do much sewing any more - in fact I sold my Bernina and get by with an old machine of my Mum's - but if I did still sew Amy's patterns would be top of my list, I love her work! OMG.This is adorable! Love the fabric prints. What a great gift!! She will Love it..
Oh its sooooo pretty - Mum will love it! Its so true that small things take and extrordinarily amount of time compared to their size. But they are all the more delightful for it. Thanks for finding this tutorial - its perfect for my Mum's birthday in June...... so I've plenty of time to get it done!! That's so cute! Love it! I hope your mum loved your present, it was very beautiful.